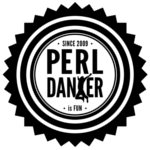 How to create a personal counter with only a session object in the Perl Dancer framework? The -R . will monitor the whole directory structure and if anything changes it will reload the application. Then we can browse to http://127.0.0.1:5000/ and see the default page of Dancer. You can check, the sessions/ directory is empty now, if it even exists. In order to set a value in the session we call the session function in our Dancer application. After saving the change we can reload the web page. The long string is the cookie identifier and it will be unique on your server. If we look at the file system, we can see that Dancer created a new directory in the project called sessions/, (if it did not exist earlier) and put a single file in it called VTChcQABUqiiJ0PMHVAnTkm0p_F7nYnk.yml. Note, the name of the file is the value of the cookie. By default, the name of the cookie is dancer.session and the cookie was set to be part of the 127.0.0.1 domain that served this page. If we reload the page at http://127.0.0.1:5000/ we won't see any change in the display, as we have not changed the page itself yet. To cookie in the browser does not contain any information besides the value of the cookie which is the session id. 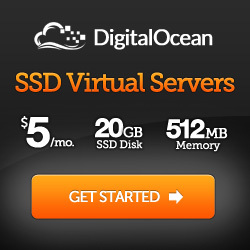 The key-value pair we set in the cookie is stored on the server in the YAML file. If we now visited the same page using a different browse, that browser would get a different cookie and the Dancer application would create another YAML file. For the time being we have disabled setting the session so we can see that the value of 'cnt' is indeed fetched from the YAML file created when we accessed the page earlier. This is the output of the debug() call in our application. We fetch the value from the session file or set it to 0 if there was no value in the session file yet. This is to nicely handle the case when a new browser visits the page. Increment the counter and print it to the console of the web application. Save the new value in the session object and thus in the session YAML file. If we now reload the browser several times, we'll be able to see the counter incrementing on the console. Unfortunately we'll also see the plackup server restarting itself after every time we load the page. This, as I found out later, is because the -R . flag tells plackup to restart the server if any file changes in the whole directory tree. As we keep updating the session file in the sessions/ directory, plackup will keep reloading the server. This way, plackup will only monitor the config.yml file and the lib directory. We now already have a counter for the individual visitor, but the counter is only displayed on the console of the server. 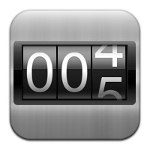 To make a bit fancier, we can also include the value of the counter in the HTML sent to the client. Now, if we reload the page in the browser we can see the counter incrementing in the browser as well. If we open another browser we can see it has a separate counter. So this counter we created is not the same kind of counter we wanted to create in the big counter example project, but still a useful exercise in using sessions and cookies.